Rule the world with strength. Warriors fight against multiple enemies head-on with superior physical and natural strength. 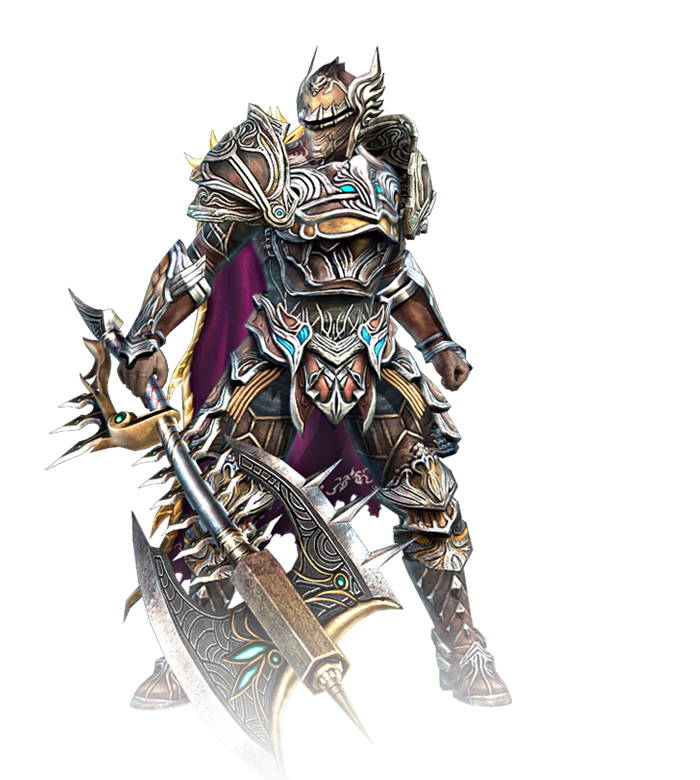 Using large weapons, warriors can attack multiples enemies on contact with a single strike. Dominate the world with powerful spells. The more enemies you face, the stronger your weapon becomes. Her spells create terror and strike fear in the hearts of enemies. 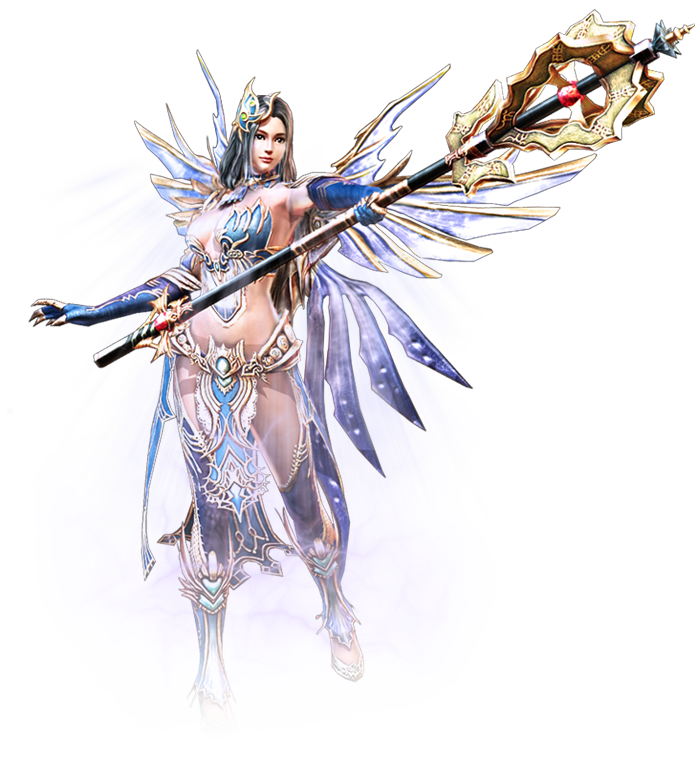 Wizards possess a wide range of attacks using powerful chain skills and AoE skills. Cut through the world in silence. His bloodthirst makes enemies tremble in fear. When the silence passes, there is nothing left behind. Assassins can inflict fatal injuries to enemies using sharp dual blades. the supreme evil of Vargarv began to destroy the continent. Five heroes who had stopped the years of War in Galia were blessed with an oracle to stop Vargarv. Gerhard the Metal, Arien the Faith, Sik the White Shadow, Mernasil the Truth, Ridan the Arcane, and with help of the dragon lord Isiloon have captured and contained the malicious Vargarv. Terk was youngest among the group, but the strongest. One day, Hoget appeared to Terk and they became fast friends. Fate had later led Krister to them, and at that point, a team of legends was born. 8 years later "Galia Calendar Year 1225"
Terk, Hoget, and Krister become renowned mercenaries. However, Krister began to feel doubt about herself being weak and becoming a burden to the other two. One day, the three mercenaries were sent on a mission to enter a mysterious dungeon. As soon as Krister enters the dungeon, her desire to become powerful drove her to collect all the broken spirits of Sharen Hoast, the chief priest of the evil Vargarv. Sharen Hoast possessed Krister’s body as Krister’s desire to become powerful and her royal lineage of Meir was the perfect tool to awaken Vargarv. Sharen Hoast defeated Terk and Hoget and vanished in darkness. Thinking that their weakness couldn’t save her, Terk and Hoget trained themselves to save Krister. When a descendant of the fate, Biset appeared to them, they realized that they are the descendants of Full Metal and White Shadow. Terk, Hoget, and Biset are now not only on a mission to save Krister who is possessed by Sharen Hoast, but also destined to find the five heroes and defeat the prime evil, Vargarv. Depending on the skill build of your character, players can experience the excitement of 100 hit air combos using 20 different skills. With 9 equipment parts and 4 types of set items, players can develop a unique character. Tag matches with mercenaries and parties make gameplay even more exciting. 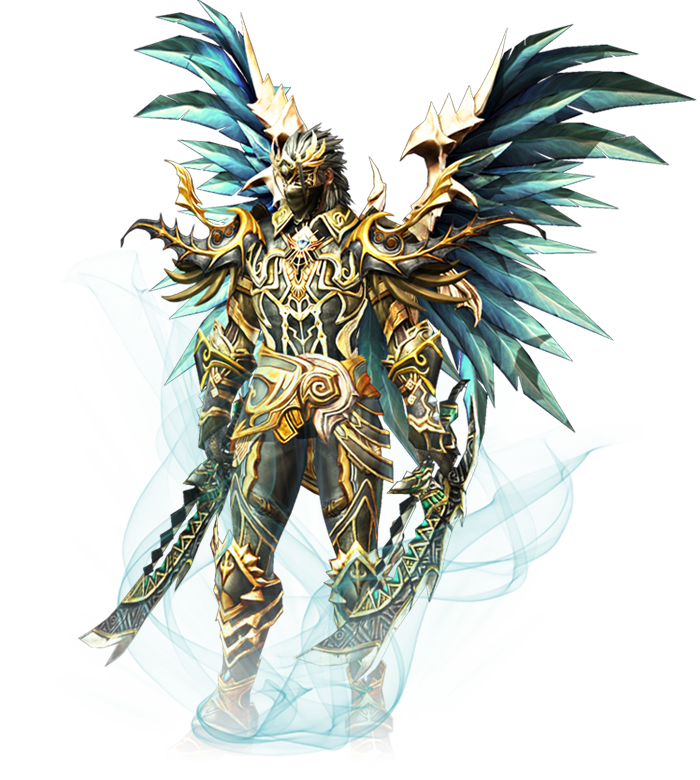 With over 300 mounts, transformations, and mercenaries, players can experience a variety of strategic gameplay. 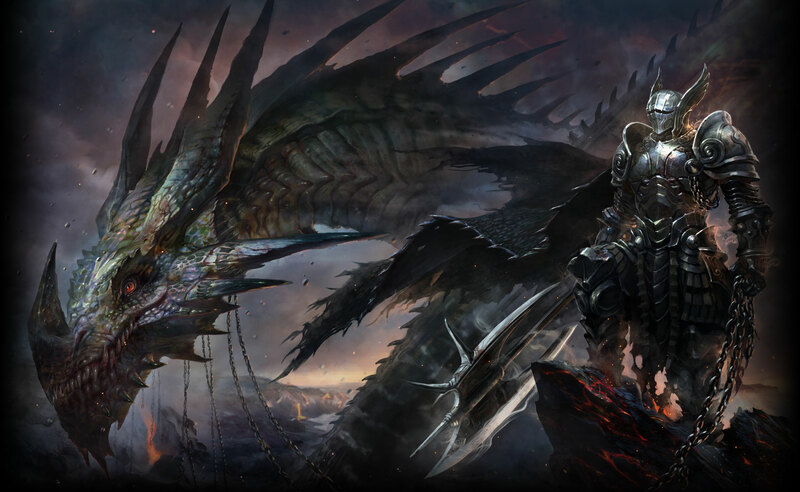 Players can especially mount and attack with wyverns, drakes and ultimately dragons. 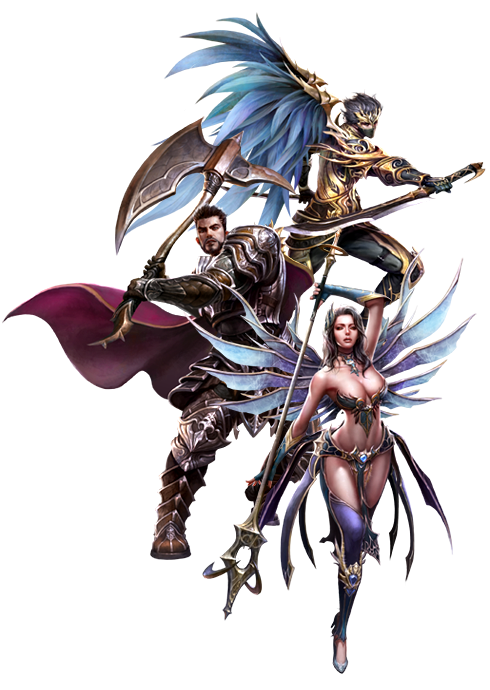 Features such as Guilds, PvP, Siege Wars, unlimited stages, and changing dungeons will provide a variety of battle experiences. © Mgame 2019 All rights reserved. Licensed and published by Game Cafe Services, Inc.